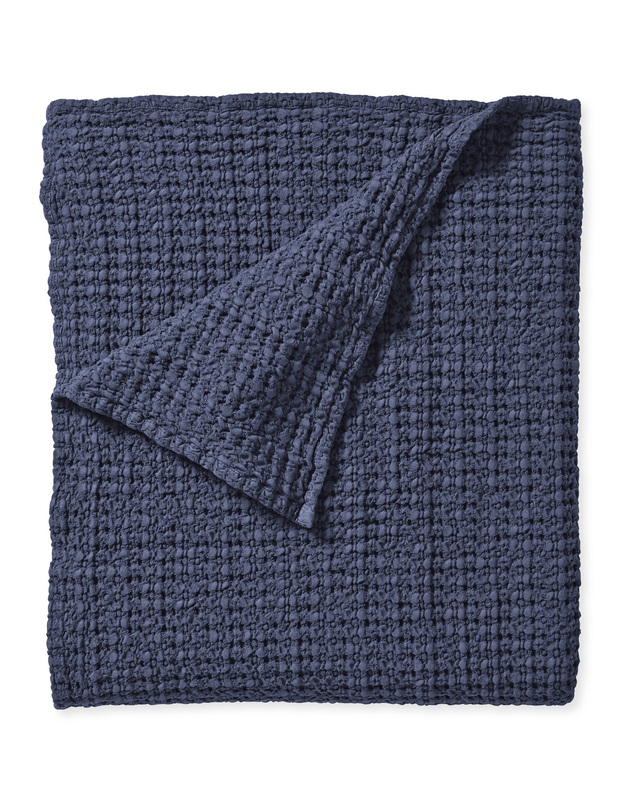 Montauk CoverletMontauk Coverlet, Navy alt="Montauk Coverlet, Navy"
Print A matelassé weave gives this blanket beautiful texture that stands on its own. Made of cotton with a lightweight cotton lining, it has just the right weight and a soft, gauzy feel you’ll want to keep close. 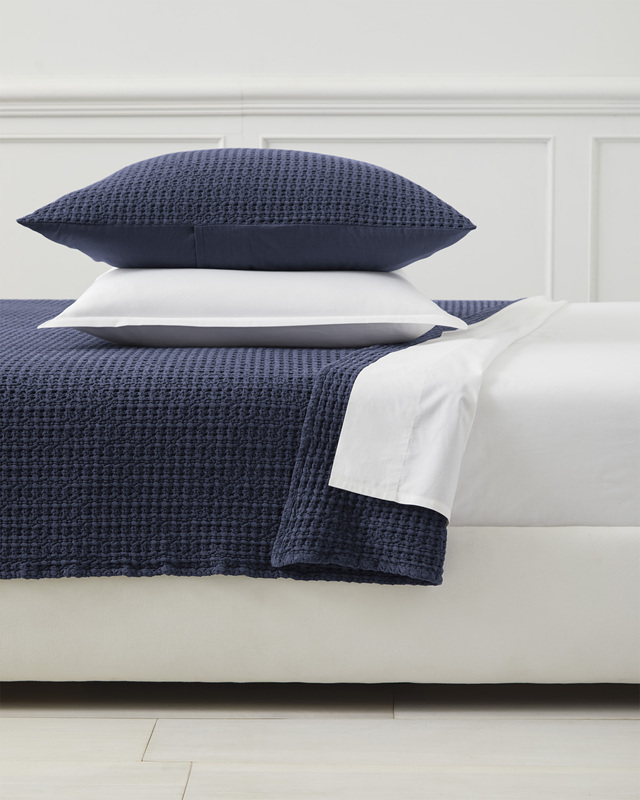 We love this layered over a lofty duvet on those cold, wintry nights or thrown over a lighter sheet when warmer weather comes around. King/Cal King: 110” x 90”.